The folks at Secret Sockets have figured out how to subtly double the number of available outlets without having to resort to a clumsy and unsightly power strip. 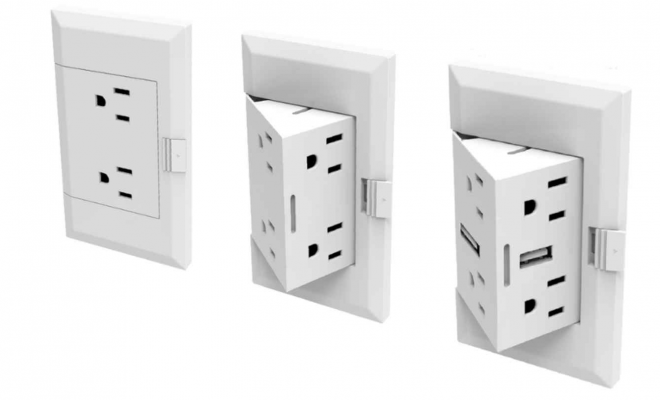 This smart pop-out power outlet has to be one of the smartest solution yet. It looks exactly like your normal power outlet and fits in a regular wall as any other regular power outlets. But with the touch of a button and without having to unplug what you’ve already got connected — theOUTlet pops out to reveal two more plugs. Why hasn’t anyone thought of this before? It’s quite convenient, safe and a solution to those unsightly cords as you trying to power up all of your devices. The Kickstarter campaign is already over halfway to funded, so the wait is almost over and you’ll soon have you hand on this nifty invention. If they reach their $45K stretch goal, they will also add a version with two USB outlets to the mix, capable of charging two phones or one tablet without having to hunt down an adapter. Next Story → A New Way To Wear Shoes.